This is a very famous dish in North India popularised by the Nawabs of Lucknow. The 100-year old Tunde ke Kebab in Lucknow Chowk is the most famous outlet for choicest Kebabs even today. 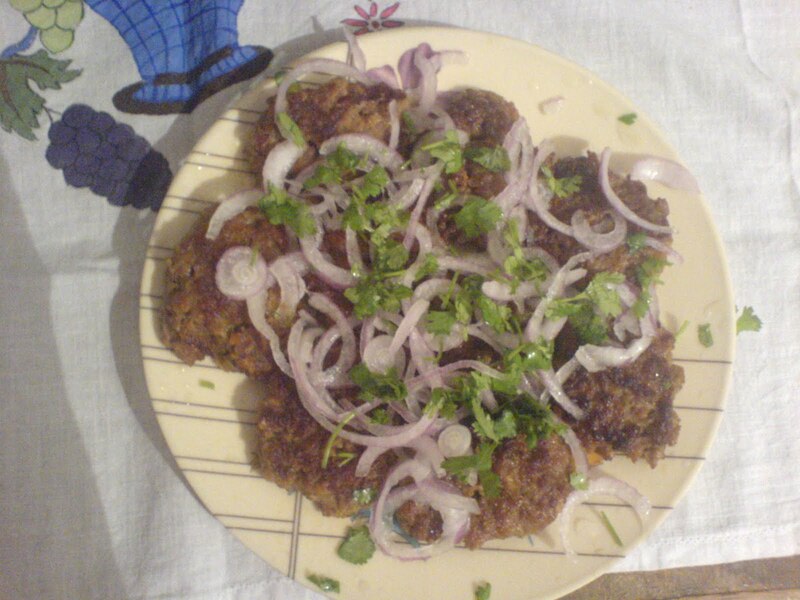 Tunda Kebab is so named because it was a specialty of a one-armed chef. This restaurant's signature dish is its masala which is a zealously guarded family secret and prepared by women in the family. It is said to incorporate 160 spices. 1. Make a past of Ginger, Garlic, onion and raw papaya. 2. Then put Chickpea Flour in a non stick pan and roast it till it turns brown. 3. Make another past of Cumin Seeds, Pepper, Cardamom, Cloves, red chilly and Cinnamon. 4. Then mix both the paste with the mutton and Chickpea Flour, mix it well. Then keep it for 1 hr. 5. After 1hr take the mixture out and make it in small round cutlet and fry it on non stick pan with refined oil.